Tim Berners-Lee Weighs In On Net Neutrality | Blue Mountain Data Systems Inc. 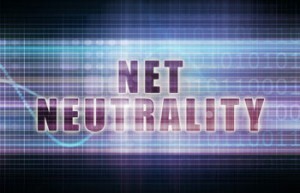 Controversy surrounding the Open Internet has been a hot topic for the FCC this year. President Obama, politicians, broadband operators, and the general public weighed in on the matter, prompting the FCC to table voting on new regulations until 2015. As we await the FCC’s decision, folks continue to voice their opinions and concerns. In fact, the World Wide Web Inventor himself has a lot to say. At the recent LeWeb Conference in Paris, Tim Berners-Lee, spoke out freely on a number of internet-related topics, including net neutrality. For more information on this topic, read the full Associated Press article on Mashable.